I looked into the SL Destination guide again for my next simploring tour. In the category art I chose to visit “The Art Rocket“. The SL Destination guide isn’t always up-to-date. 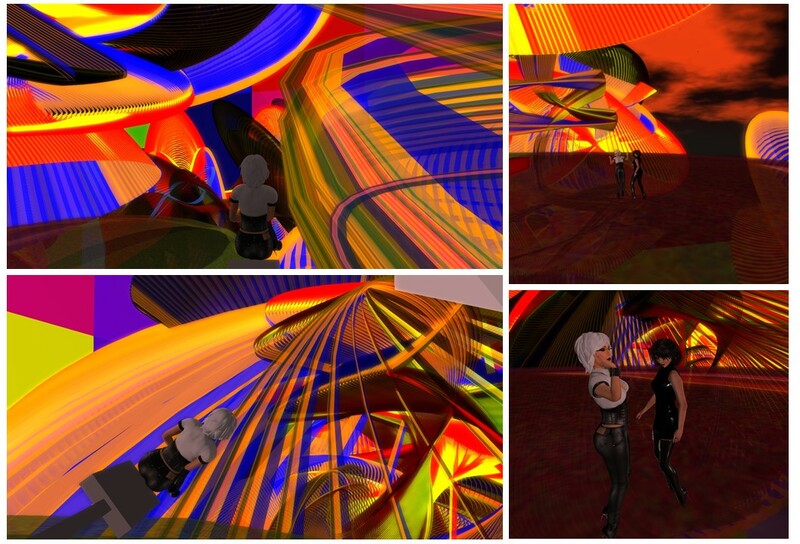 In particular the sims presenting art within the LEA Program are changing quite often, at least twice a year. 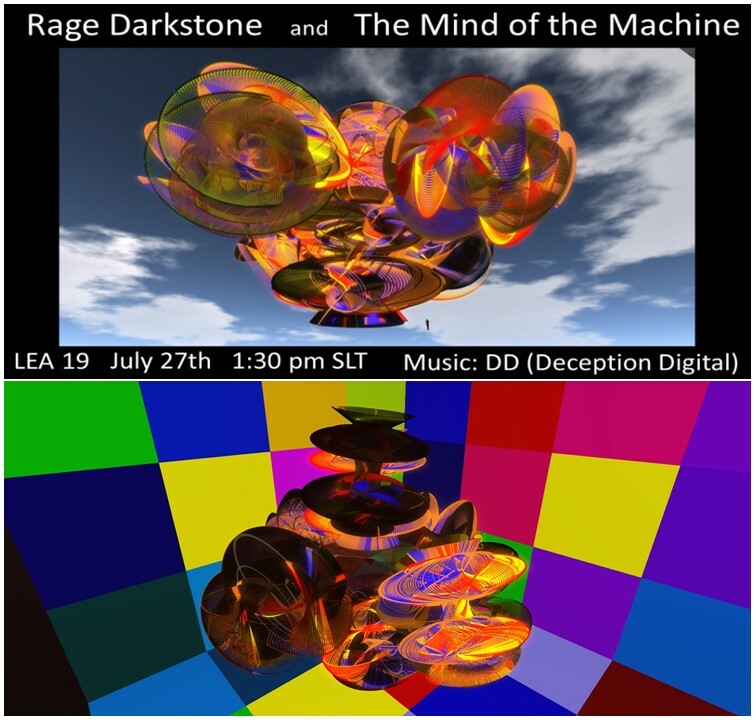 The landmark led me to LEA 19 and to “The Mind of The Machine“, an installation of Rage Darkstone. I landed in the center of turning coloured discs, spirals and other geometric forms which are placed into a cube with a checked pattern of colours. The moving objects produce a quickly changing background. Any gap is filled with the checked pattern of the surrounding cube. There’s a vehicle rezzer, the vehicle is sort of a gondola of a chair lift. Sitting down you can enjoy a short ride inside of the objects getting other colourful effects. The Mind of The Machine follows own patterns, produces constantly changing thoughts and effects and everybody expierences it different, there seems to be no repetition, no fixed sheme – yet we know, it is a machine and it follows a pattern. And you can dance to modern electronic music. I visited later again together with Mistress Jenny and we danced there together. I learned that moving colourful objects isn’t everybody’s taste and can be quite tiring for the eyes – probably also depending on the screen size you use for Second Life. As I love colours and taking pictures, I like the installation. Thank you, Rage Darkstone, for providing it.